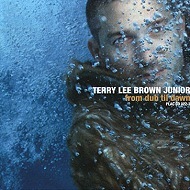 Terry Lee Brown Jr. Discography. Music. Albums. Tracks. For years Terry Lee Brown Jr. has been considered as a member of the international elite of house producers, and like no other, he has developed the subgenre minimal deep house. In the USA and England his first two albums became successes of note and the media got a surprise when they found out Mr. Brown is actually a German. Terry Lee Brown Jr, Norman Feller, began DJing in 1989 and soon thereafter released his first tracks on vinyl under various pseudonyms. 1994 was the turning point for Norman when he decided to dedicate himself totally to music. In the following year he invented the house-oriented project (alter-ego) Terry Lee Brown Jr. which allowed him to create his own sound. Plastic City, which was at that time still a very young label, offered Terry an outlet for his music and he has stayed true to this label ever since. After the success of his first 12" releases came his debut Album Brother For Real in spring of 1996. This release was a true milestone for Tech House and incorporated elements of Jungle, Trance and Easy Listening. By fusing elements of house, techno, jazz, downtempo, and even drum and bass, Terry began to develop his own distinctive style. The public response to Brother For Real was gigantic, and not limited to scenesters. Muzik (12/96), England's most respected dance music magazine chose Brother For Real as one of the top ten albums of 1996 (along with albums from artists like DJ Shadow, Fugees, Underworld and Faithless). Marshall Jefferson, the Chicago House legend, honored Terry in an album review by simply stating "He is God" (Raveline 11/1996). In fall of 1997 Terry's second album Chocolate Chords garnered further praise and matched the success of Bother For Real. In America MixMag chose this second effort as one of the top 5 albums of the year. Terry Lee Brown Jr. is not only a respected producer, but also a much sought-after DJ. This side of the artist is apparent when one listens to the compilation series Terry's Cafe 1-9. These mixed CDs once again found resonance in the music press and received rave reviews from Muzik, Urb and other national and international magazines. This music brings together bass-heavy house-grooves with warm atmospheric planes and fragmented vocals. Sound and rhythm are the most important in this case. Today Terry Lee Brown Junior is one of the most happening and respected House Artists around. This is probably due to the passion and love he invests in his uncompromising productions and mix sets. His albums and mix CDs have shown the world that House music not only works on the dancefloor, but also in a comfy chair.